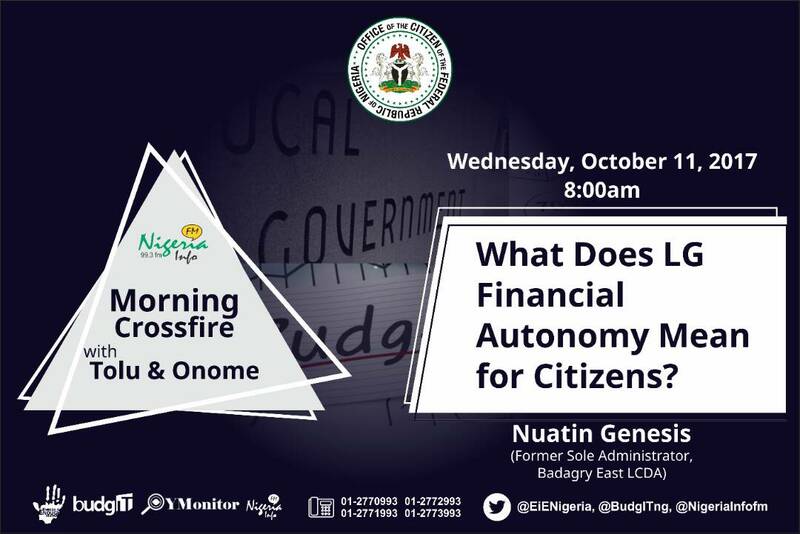 The topic of discourse on the show this Wednesday, October 11, 2017 is “What does LG financial autonomy mean for Citizens? The guest speaker is a former sole Administrator for Badagry East LCDA, Mr Nuatin Genesis. This will be discussed against the back ground of the ongoing constitutional amendment that calls for separate LG account as against the joint account system that is originally in the constitution.